I love those heart rings! 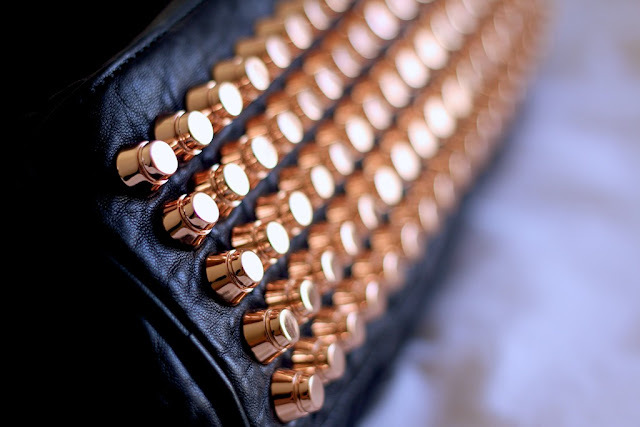 *sigh* My heart does a little skip when I see rose gold, so now I'm having palpitations! Have you got Essie "Penny Talk?" I've been looking for a "proper" rose gold nail polish for eternity. I've tried mixing my own (disastrous) and bought several polishes masquerading as rose gold but Penny Talk is the closest I've come so far (The hunt continues. I will not give up)! I feel exactly the same way, hence why I did a whole blogpost about it too! Penny talk really is like dipping your nails in liquid rose gold! 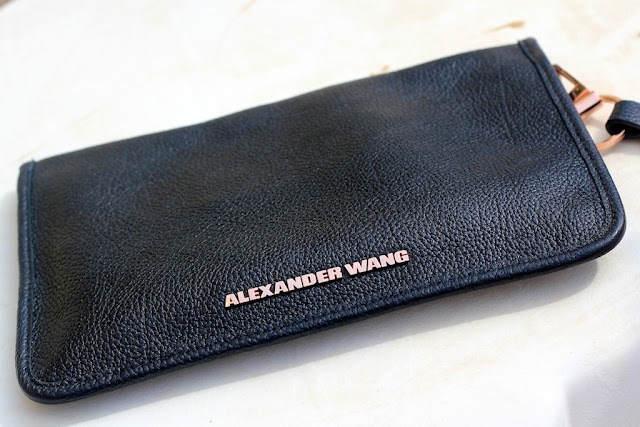 Your pouch is gorgeous and the Wang rocco is also going to be mine one day i'm sure! Happy belated Birthday! Love the pochette! I have the Michael Kors watch in rose gold and absolutely love it. I'm such a huge rose good fan - I've always loved it, even before it got trendy. I'm happy that it's popular now as I'm able to stock up on everything rose gold :-) my favorite rg items so far are my Michael kors watch and my Sydney Evans disc necklace. Loved your new clutch and can't wait for your birthday reveal - belated happy birthday! Yes, rose gold is gorgeous! I have a rose gold phone case too and love it. The essie polish that you got is the same as one by The Face Shop that they sell out here in korea for the equivalent of about two pounds! Such a score when I found it, I bought my first one about a year ago and I'm still in love with it! I love every single thing in this post! 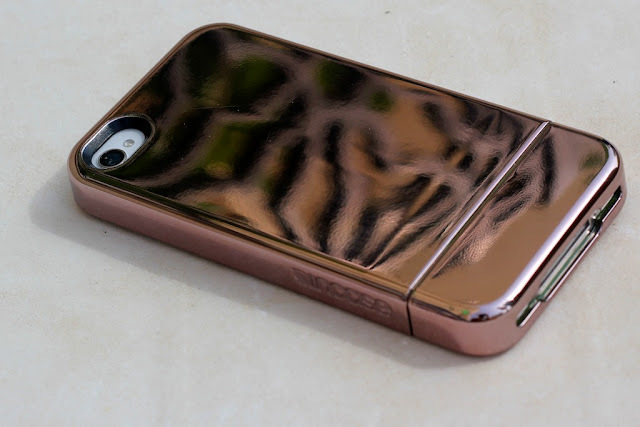 I did a rose gold post a few weeks ago - www.styleandthecityuk.blogspot.com/2012/06/rose-gold-buys.html - and think I need to add the iPhone case and nail polish to my collection as soon as possible! Ooh, so many things I would like to purchase in this post. I will be looking for the River Island ring dupe. I recently brought the rose gold michael kors copy from there and it is the best looking watch I've ever had! 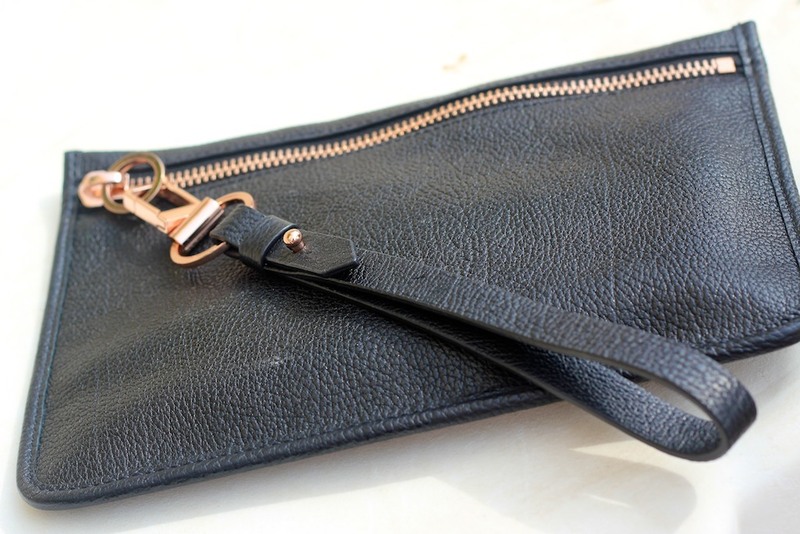 Okay that pochette is seriously beautiful! So sleek! Mmmmm I absolutely love rose gold too. I am not a gold fan at all, so I like that I can incorporate gold is some format in to my life haha. Woww that iPhone case is beaut!! I am SO not over rose gold! I wasn't a huge fan of gold to begin with but when I saw the rose gold I was instantly a fan! I still love rose gold, I wear my Marc Jacobs rose gold watch every day! Love the clutch, it's amazing, beyond words. Sorry had to get rid of my other comment as there was a major grammar error - it's my number one pet peeve! Anyway all I was saying was that I love rose gold, and that it is indeed metal made pretty. Ooh looove the purse, and the phone cover!!! I love your rose gold pieces, so pleased you've gone for classy & not the H&M type rose gold...tacky!!!! That phone case is beautiful! Something I never thought I'd say about a phone case ha. I'm also super jealous of your Wang! Can't wait to see it in an outfit of the day. I'm so in love with that clutch bag!! It's just perfect!!! I LOVE rose gold. Might do a 'collection' of my rose gold stuff soon if you don't mind :) And I really like the things you have, would love to shop with you haha. The AW pochette is gorgeous. Very nice accessories indeed :) As for the H&M one - it is quite heavy and even for my super tick, long hair feels weird and I easily get a headache from wearing it. However, H&M have another, friendlier version also available in gold/rose gold color with only one thin metal plate on the top of the elastic, bended just right for a cute ponytail. It is about 100 kg lighter as well and fits perfectly mid length fine, but plenty hair. Very nice post ! Love rose gold !! I think everyones still obsessed with the rose gold! :D Lovely post! Love the iPhone case! Happy Birthday Laura! Hope u had a lovely day with all of yours. Last item could be Alexander Wang rocco bag? Hi Laura! 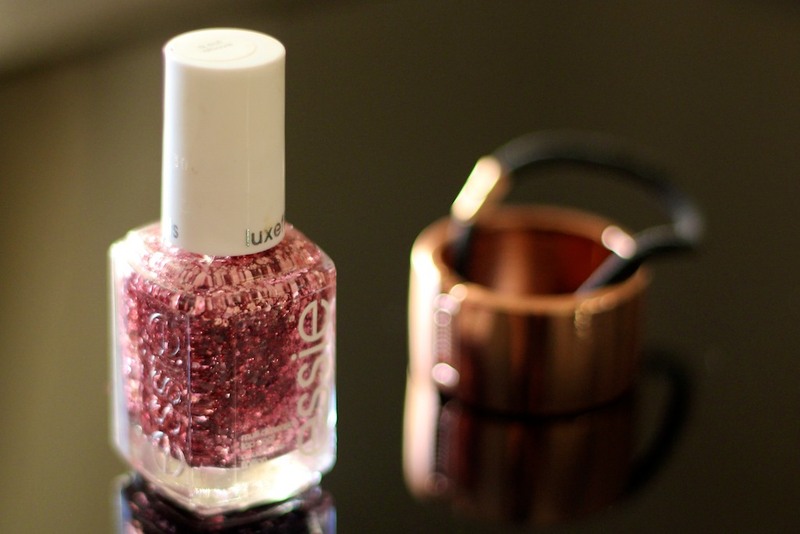 If you're a fan of rose gold you need to try Essie Penny talk! I know you prefer Gelish but you need to try it! It's liquid rose gold for the nails! I recently started carrying a clutch out to dinner and I find the ones with a thin chain are the easiest. If I just have a 'hold on to it' clutch, I feel a bit odd and not put together. Here's another rose gold nail varnish for you - Orly's "Rage". Per-frect! Oh, and luv the bag! Absolutely love the iPhone case! :D And THE bag, of course! I love rose gold but I only have a watch and the h&m hair cuff. Rose gold is too pretty NOT to like! I'm still digging the rose gold too! I recognize the bunny ears problem, my collegues couldn't stop laughing but I would never take it on an interpreting job! And I need that nailpolish, seriously, NOW! I need that phone case in my life. Laura, I was in Dubai mall & spotted a little Dyberg / Kern shop that sold the drop earrings in Rose Gold! Cha-Ching !! Ps what is your twitter? The last one is an Alexander Wang Rocco bag, isn't it?! Gorgeous! I really like those rings!They are really cute. Great share. ohmagat, just fell in love with all that stuff! Omg!!! I want all of those things!!!! The wang wallet love it. I will never tire of rose gold! I still, to this day, wear my MK rose gold watch religiously. P.s - Lovin the wallet! I too am obsessed with rose gold...such a beautiful tone that flatters everyone. I recently picked up a gorgeous rose gold skinny belt from H&M...so pleased with that purchase! Never used shopbop before...will have to go check if they ship to Ireland, although it might be dangerous for my bank balance if they do!! i guess the iphone case coat isn't very scratch resisata, i own an incase case and mine doesn't look as if it was new and has some scratches. Laura,you are the best.Such a wonderful collection.I'm impressed by your collection. Beautiful! 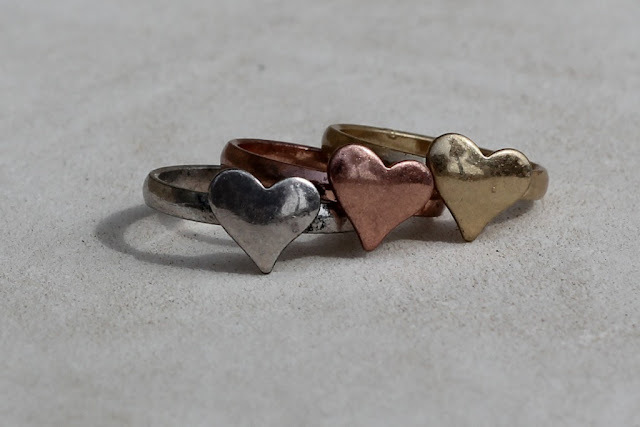 These rings touched my heart. I would like to buy those rings. What can be more like that in pink colors? You can definitely enjoy the opulence and distinctive attraction of this Gold blackberry porcshe or gold iphone. If you want to leave a lasting impression on their friends and relatives then you got to purchase a luxury Gold iPhone 5 or Diamond blackberry phone.